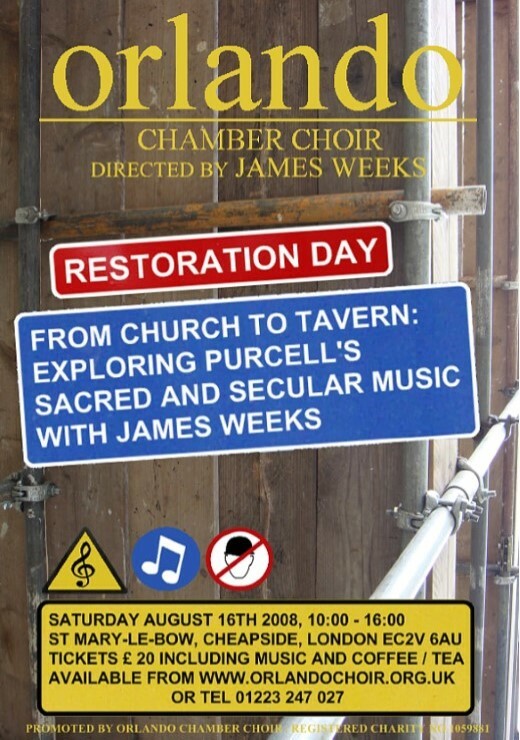 A restorative workshop with Orlando Chamber Choir and James Weeks exploring Purcell's sacred and secular music. The day will evolve from church to tavern in more ways than one! All choral singers are invited but sight-reading skills are a prerequisite.